An expedition to Mount Everest by Italian researchers has shown for the first time that blood pressure monitored over a 24-hour period rises progressively as people climb to higher altitudes. 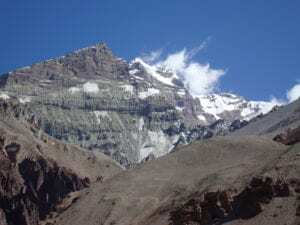 The researchers also found that while a drug used for lowering blood pressure, called telmisartan, was effective in counteracting the effects of altitude up to 3,400 metres, it was not effective at 5,400 metres above sea level ““ the height of the Everest base camp. The study is published online in the European Heart Journal, and its findings have implications not just for people who live, work or undertake recreational activities such as skiing and trekking at high altitudes, but also for people at lower altitudes who may be temporarily deprived of an adequate oxygen supply, a condition known as hypoxia. Hypoxia can lead to altitude sickness at high altitudes, but is also seen at sea level in people who suffer from sleep apnoea when their breathing is temporarily interrupted by a blocked airway. For the study, 13 of the 15 authors of the EHJ paper joined an expedition of 47 volunteers to the Mount Everest south base camp in Nepal (altitude 5,364 metres). They flew from Milan, Italy (altitude 120 metres) to Kathmandu, Nepal (1,355 metres) where they stayed for three days. Then they went to Namche Bazaar (3,400 metres) where they stayed for another three days before spending the next five days climbing to the Everest base camp where they stayed for 12 days. During the expedition, the volunteers had their blood pressure taken in the conventional way over a five-minute period in the morning, but they also wore a device that measured their blood pressure every 15-20 minutes over a 24-hour period, giving readings for ambulatory blood pressure, which is a much more accurate measure of a person’s true blood pressure. It also has the advantage of being able to measure night-time blood pressure, which is normally 10-20% lower than daytime blood pressure, and which is a better predictor of outcome than other blood pressure measurements. When the blood pressure does not “dip” at night despite the person being asleep, this may indicate a problem in the regulation of the heart and blood vessels. The participants were randomized to receive either 80 mg of a blood pressure lowering drug, telmisartan, or placebo. Telmisartan is known as an “angiotensin receptor blocker” (ARB) because it blocks the effects of a peptide called angiotensin II, which causes blood vessels to narrow. The researchers collected blood samples as well. If you have high blood pressure at sea level you need to seek medical advice before joining a trek or climb above 3,400m/11,200ft. Your doctor will need to sign off before you can join one of our trips. The effects of altitude on blood pressure are real and need serious consideration when planning a trek to altitude.